Please ensure that you have read and understood Oplex Careers’s terms and conditions, before placing your order on this site. By placing an order with us you will be deemed to have read, understood and agreed to these Terms and Conditions. 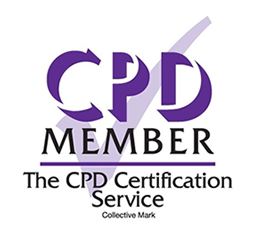 2.3 The price payable includes the training course, training materials, PDF certificates, internal assessment, internal examinations and full support where applicable, but does not include external third party software (where applicable) and hard copies certification certificates(£9.99). 3.3 You will inspect the Materials upon delivery and will inform us immediately if there are any damages or omissions. 3.4 You will be deemed to have accepted the Materials if you do not notify us within seven days after delivery. 4.3 Where written assessments apply, a copy of student coursework is required for audit purposes and unless we receive a written request to the contrary, course work submitted to Oplex Careers for marking will not be returned and is sent entirely at the responsibility of the student. Students are advised to keep copies of all work submitted to Oplex Careers. 6.6 Special Offers – Oplex Careers have the right to cancel any order that does comply with special offer terms regardless of discount codes used at checkout. 7.1 You have the right to cancel this contract within 14 days from the day after the receipt of the Materials. If you choose to cancel within this period you will receive a refund of the Price within 30 days of you returning all Materials to us. 7.2.1 you have accessed any online learning or Materials prior to cancellation. You must not log into the online student learning portal and/or start your course if you wish to receive a refund.